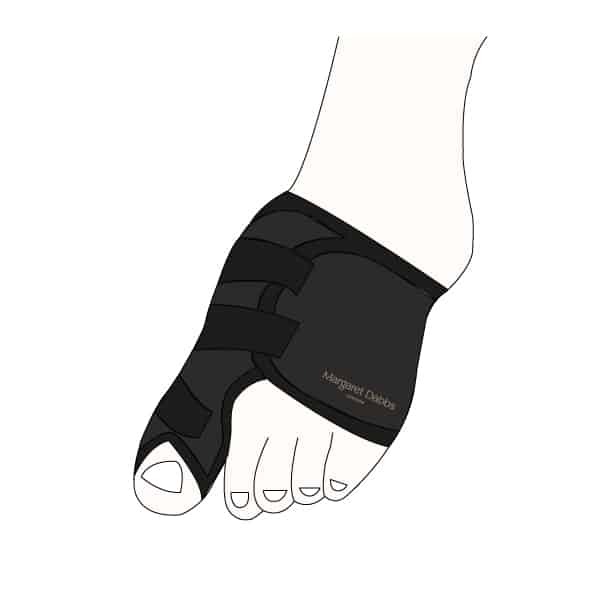 The Margaret Dabbs London Foot Bunion Support has been designed to alleviate pressure on the big toe joint by carefully supporting the big toe. This encourages normal alignment of the joint and slows the development of the bunion. Dot not use on broken skin. Do not over tighten. Wear the Bunion Support initially for short periods of time and build up the period of use of the aid. Discontinue if the aid causes discomfort. Seek the advice of your foot specialist if you have concerns.